If your like me then being somewhat organised is key to keeping things running as smoothly (especially at meal times) as possible at home. When your babies/ toddlers are hungry… they are hungry and can’t understand or grasp the idea of waiting while things are cooked or made (enter crying/ whinging mode here 😂) I learnt this early on with Aria , so one thing I do for my own sanity is to do a little preparation every week to eliminate the chances of this wherever possible. I’m not talking slaving for hours in the kitchen preparing a weeks worth of meals and food I’m just talking little pockets of prep to help make life easier. I thought I’d share a couple of my fave go to quick and easy meal ideas for babies and will pop a few of my essential meal prep tips here too! These are just some of my old faithfuls all in one spot. – I like to plan out 4 out of 7 days and keep the end of the week of winging it lol plus we often are doing things over the weekend and I try to waste as little food as possible! – think ahead 🤔 for eg. If your planning chicken two days in a row. Prep it all at once. If I’m planning to steam veggies for dinner I prep them during the day and always have extra so I can use for things for the girls. Why do it twice … get my drift !? – your kids can eat what you eat! Making a stir fry? Make it basic (meat,veg, garlic) cook and put some aside for your little ones. Then add all the spices ect for you and hubs. – last but not least – Get your kids involved where possible. I’ve turned it from a chore into something fun we can all do. Particularly the fun stuff (muffins, smoothies ect) It’s a great way for them to learn and try different things as your making it. We love it 🥑 Start your week by making a batch of muffins or something to have on hand for hungry little babes. Whisk two whole eggs (I don’t add milk for Maya) and cook in a pan and your done. This makes two days brekkies for Maya. I let her try it out and feed herself but I will also will spoon feed her too. Quick easy and great finger food for your little babes. Two minutes, two brekkies easy as! If you have a toddler double your eggs and then they are sorted too! Whisk all ingredients, place in an container and pop in the fridge overnight. I also come back and give a stir an few hours later. This is a few days worth for a baby. Great for brekkie, snack or anytime really. Blend until pancake mix forms and cook 🙌🏻 yep that’s it. Serve with fave fruit. This is the baby Mac and cheese recipe simplified as your baby may not be ready for milk and cheese yet. Steam your veggies, place in blender add dash of boiling water and blend to make a nice thick sauce. Stir through cooked Macaroni. If you have a toddler to feed like me I do this stage first. Make a few meals up for Maya. Then add cheese and almond milk to remaining sauce, blend and stir through cooked macaroni for Aria! Both babes looovveee this! There you have it a few super simple healthy options for your baby and that your toddler will enjoy too! Other then that Maya will eat fresh fruit and veg and just taste whatever we are having. At this stage she is more of a grazer and just eats little bits of everything so sometimes a random throw it together mini platter is just perfect anyway. Hope this gives you a little inspo and makes your meal prepping a little more fun. 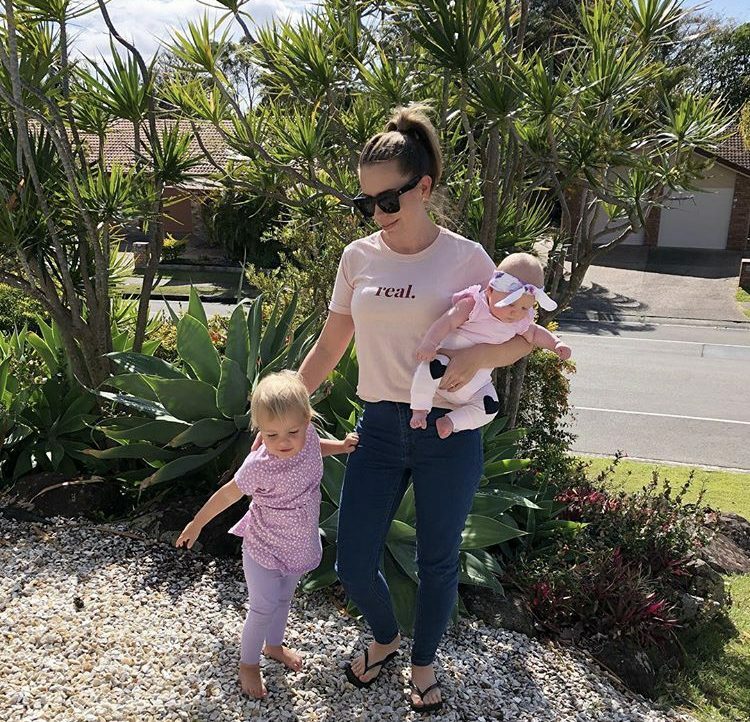 I did a blog post when Aria was a baby with the help of my beautiful friend and nutrition expert @_poppysandpistachios_ I will pop the link here. It has a few helpful questions when it comes to babies and nutrition. ← De clutter for 2019 – what can you let go of before the year is out ?